The Embassy of the United States of America and the Learning Links Foundation in association with the Centre for Excellence for Cyber Systems and Information Assurance, IIT Delhi organized a NORTH INDIA CYBER SECURITY HACKATHON at IIT Delhi, April 11th -13th on the theme of Cyber Security. 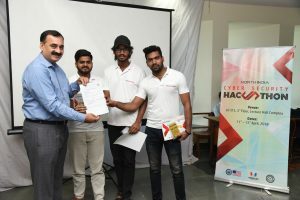 The objective of the Hackathon was to create awareness on the opportunities and challenges in the area of cyber security and build capacity among the youth in North India by encouraging them to build innovative solutions for cyber security issues. The event saw participation from around 64 students, who came across from New Delhi, NCR, Chandigarh & Dehradun to build solutions for cyber security and tackle challenging problems. During the duration of the event, the participants worked on developing solutions focused on security features for various applications that enable e-transactions and public services. Some teams showcased cyber fraud vulnerabilities and suggested possible solutions. The Hackathon was won by Team ‘Fraud Finders’ from Lovely Professional University led by Yashraj Choudhary, Sai Krishna Manohar & Ruplal Kumar. Team ‘Morning Stars’ from Manav Rachna International Institute of Research and studies came second. The winning team received a seed funding of Rs. 50,000 and the runners-up received Rs. 30,000 to further develop their solution. The event also saw the winning teams from Chandigarh, Dehradun and Delhi being felicitated by the Chief Guest Mr. Pavan Duggal, Cyber Law Expert. The Prominent guests who were present at the event were Ms. Ariel Pollock, Director, North India Office, US Embassy, New Delhi, who commented that “it was very promising to see young minds from different regions in North India come together and innovating solutions which will keep the cyberspace and information safe”. Mr. Stewart E. Davis, Head Programs, North India, US Embassy, New Delhi; Dr. Anjlee Prakash/Ms. 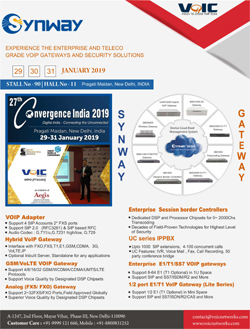 Nuriya Ansari, Chairperson/President, Learning Links Foundation; Prof. Anupam Joshi, Director, UMBC Centre for Cyber Security; Prof. Ranjan Bose, IIT Delhi; Prof. Kolin Paul, IIT Delhi.